This was near the end of the day as the sun was getting very low in the sky. The wind was becoming quite chilly, but the light was really beautiful. 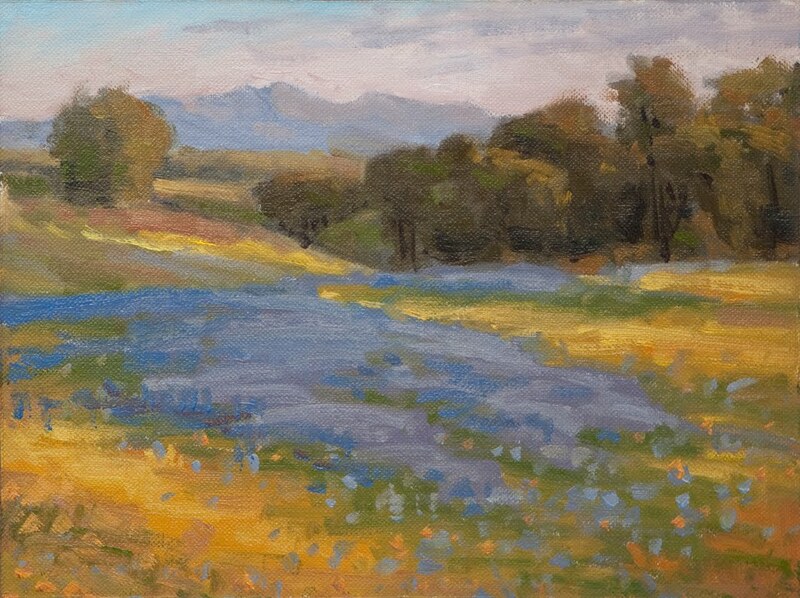 Study 8x6", oil on linen. Very nice, I really like the colors in this one. Do you have an approx. amount of time you spend on paintings in the field? Or just more "what it needs"? I've been following your blog for a little while now and just wanted to thank you for sharing your work. I really enjoy it and it always inspires me to want to paint. Justin, thank you for your kind words. I probably spend about 45 minutes on average on a 6x8 in the field, but somewhere between 30 minutes to an hour on the outer boundaries. I think I paint better with less time than with more!